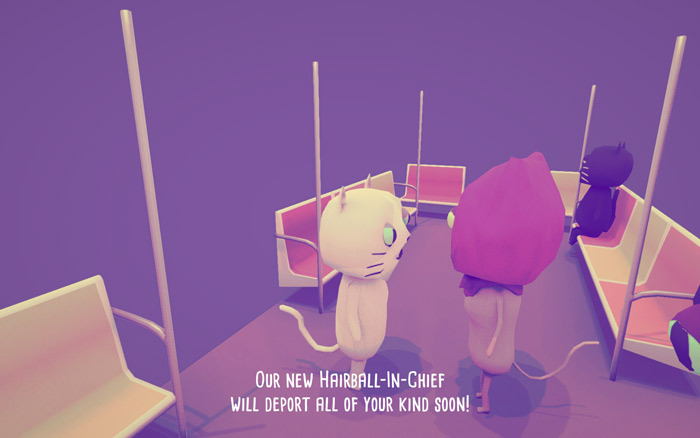 "A beautifully created social commentary game"
The Cat in the Hijab is a very short game made for the resist game jam that highlight how hard life can be for people of the Islamic faith living in America especially under the leadership of the newly appointed grand hairball who has threatened to send all immigrants back to their original countries! 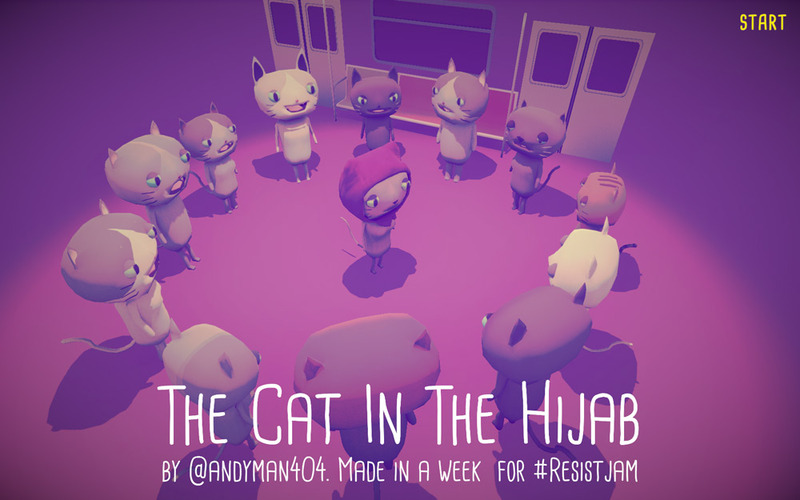 Playing very much on the current political state of America, The Cat in the Hijab doesn’t just highlight the struggles Muslims face under the ignorance of some people (but certainly not all) but other minority groups also and addresses some of the current issues people are facing right now, however the whole game is over in less than 5 minutes and while highlighting some important topics it’s just not enough time to spend with these beautifully created 3D cats and a bit more to the game rather than just a short subway journey would have been hugely appreciated however the sentiment here really is appreciated and this is a game it’s definitely worth spending a few short minutes with. 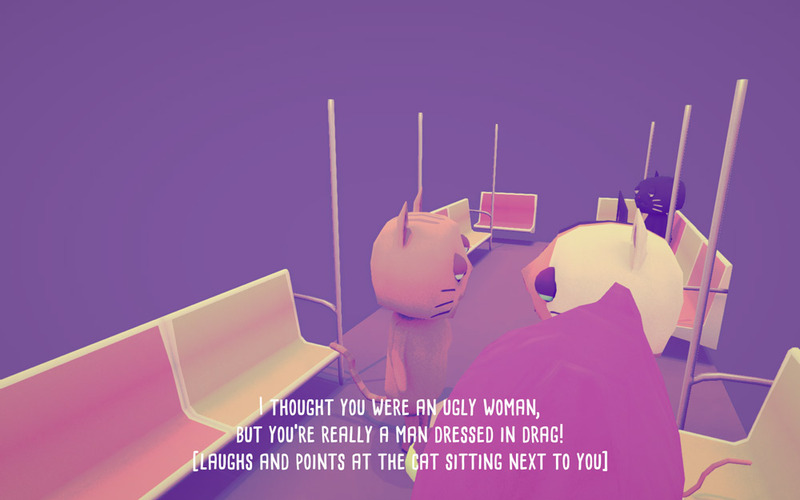 You can download The Cat in the Hijab here for free.